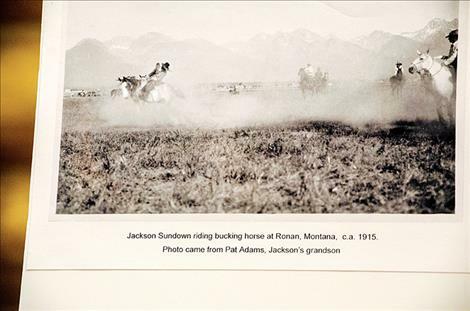 A page from his book "Jackson Sundown" shows the legend competing in Ronan in 1915. 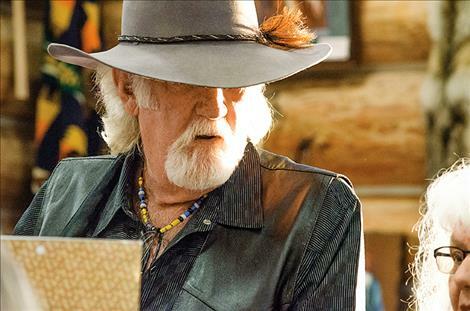 Writer Rick Steber shares stories about rodeo legend Jackson Sundown. Local resident Wyman McDonald shows a photo of Sundown, his cousin. 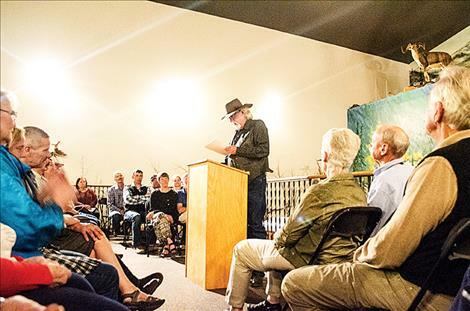 CHARLO – The name of local legend Jackson Sundown was beginning to fade as his story moved into the distant past, but writer Rick Steber of Oregon came to town late last month to revive it. 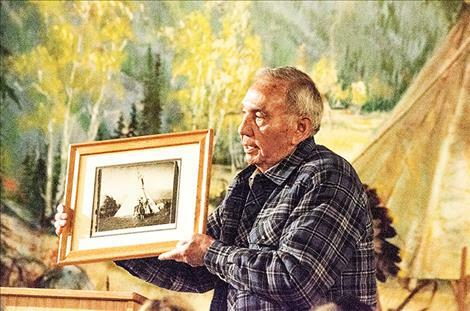 Steber stood in front of hundreds of children in different schools across the Flathead Indian Reservation and about 100 adults at a book reading at the Ninepipes Museum of Early Montana to tell the story of Jackson Sundown in a deep storytelling voice. Sundown lived on the Flathead Reservation for a time and married a Salish woman named Pulowsap, and they had three children. While Steber told the story at the museum, Wyman McDonald sat in the audience listening. The stories brought back distant memories and made him think of his own father, John McDonald. “Jackson Sundown was my cousin,” he would say after the reading was over. “My dad rode with him sometimes.” McDonald held a framed photo of Jackson during the reading that he shared with the audience. Steber continued to say that Sundown was born in 1863 and died in 1923. 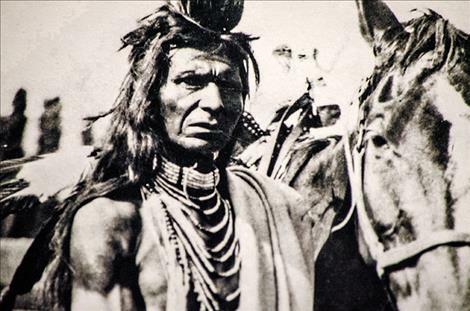 He grew up with the Wallowa band of the Nez Perce tribe. He was half Salish and half Nez Perce and the nephew of Chief Joseph. 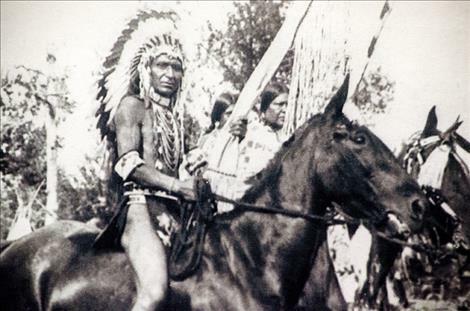 His Indian name was Waaya-tonah-toesits-kahn, which means earth left by the setting sun. Sundown grew up riding horses and eventually became a warrior. He fought against the U.S. Army at the Battle of Bear Paw. After the reading, McDonald stood up to share a story about Sundown, told to him by a family member. He said Sundown was at a rodeo and apparently the other contestants didn’t want the legend to win, so they made a small cut in the cinch strap, and it broke. Sundown was able to prove it was cut and get another ride, he said. Steber said he did a lot of research for the book by talking to several locals including Louie Adams and Bud Cheff, Jr. Cheff’s father also knew Sundown. The problem was that not many people who knew Sundown were left.